Unlike bees, wasps come in a wide variety of colors (yellow, brown, blue and red), have pointed lower abdomens and a thin waist separating the abdomen and the thorax. 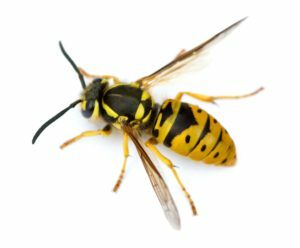 Another way to distinguish these two pests is by observing how they look; wasps are smooth and shiny whereas bees have hair. 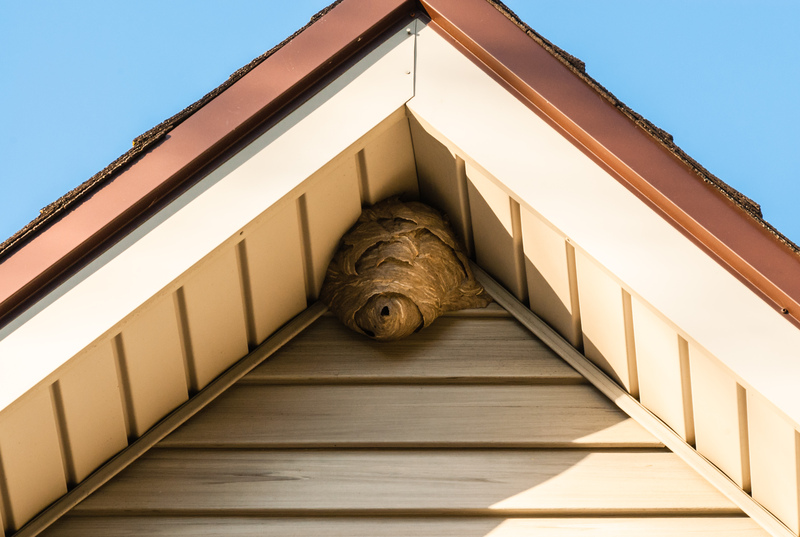 In addition to a higher number of wasps around your home or yard, the best way to find out if you have these pests on your property is by spotting a nest. 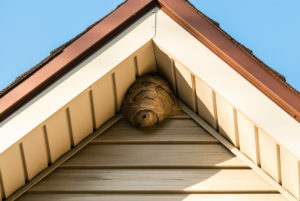 These papery-looking nests are often in holes on the ground, inside hollow trees or your home’s eaves, roofs and wall cavities. What if you spot a nest? Make sure you avoid it as they can be very defensive when its disturbed. In fact, when one is attacked they release a chemical that attracts other wasps, so it’s best to leave it alone and call someone that can help with pest control. Keep food inside – especially protein and sugar. Hang a crumpled paper bag up; because wasps are so territorial, they won’t make one where there’s another one. Make sure your home is sealed. Repair loose awnings and siding. Avoid wearing bright colors and strong perfumes. 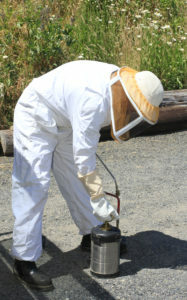 A wasp treatment is done on a case-by-case situation due to the vast areas they tend to build. 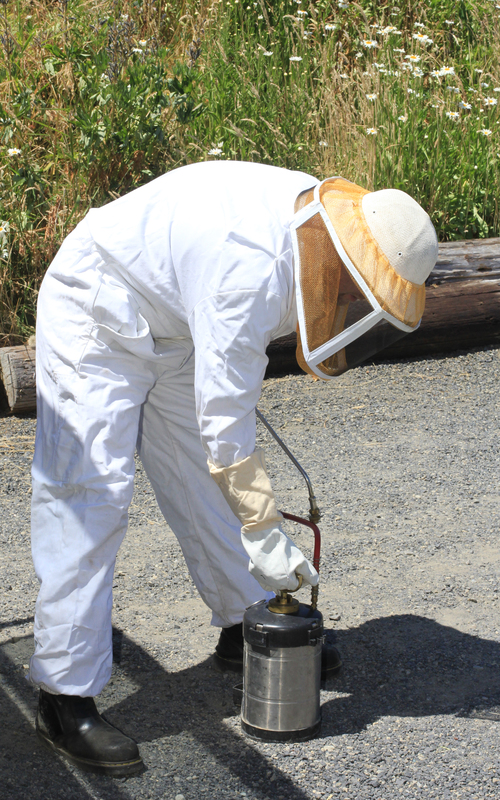 For this type of pest control, we’ll come to your home to assess the situation and recommend next steps. To learn more about other pests click here, or schedule a complimentary evaluation and get a free estimate by calling (360) 960-1455.